National Association of Professional Pet Sitters – NAPPS is the ultimate source for pet sitters who want to take their business to new levels and for pet parents looking for trustworthy care for their pets when they are away from home. What makes NAPPS unique? We are the only non-profit national organization for pet sitters. We are member-run and member-driven, responding and adapting to your needs. NAPPS provides members with continuing education opportunities, a certification program, free business forms, discounted insurance and other valuable benefits. 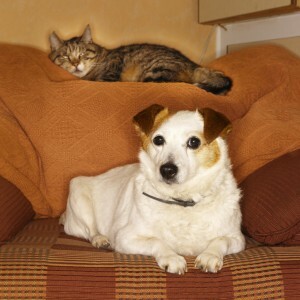 Pet Sitters International – The world’s leading educational organization for professional pet sitters since 1994. Free Dog Listings – Looking for a puppy, wanting to adopt a dog, or need to find a pet services company in your area? Check out the Free Dog Listings website. Our service areas include: Durango, West Durango, Durango North Village, Hermosa, Electra Lake Area, Bayfield, Pagosa Springs, Mancos, Cortez and Dolores. Are you planning to be out of town, but don’t know who to ask to take care of your pets while you are gone? Do you have to be away on business once or twice each month, or just need a vacation? Maybe you are visiting historic Durango and want to ride the train to Silverton, explore the mountains by jeep, take a rafting trip down the Animas river, or ski Durango Mountain Resort/Purgatory? 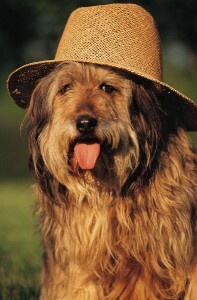 If you’re traveling or on vacation, it’s important that your cat or dog’s welfare be in good hands while you are gone. What you need is a professional cat or dog sitter. Make sure that you leave him or her with good information about your pets, so you can rest assured they are safely cared for and protected. Your pet sitter should be someone that you know and trust, but finding someone reliable with enough free time can be difficult… If that’s the case, calling a pet sitting company like Durango Pet Sitting could be just the solution you’ve been looking for. Whoever takes care of your pets should be trustworthy and responsible to show up at your house every single day at the correct times. But if you have multiple pets it’s probably best for you and your pets, if your pet sitter can house sit by staying overnight in your home. It’s best if you create an easy-to-read information sheet listing each of your pets names, their likes and dislikes, special dietary instructions, medication schedule, and favorite hiding places. Also include detailed step-by-step instructions for your cat and dog’s care, including the best phone number to contact you and your veterinarian in case of emergency. If any of your pets get ill or injured while you are away, your pet sitter will need to know exactly who to call. Remember, even though you’re away, your pets don’t have to be lonely! Durango Pet Sitting can give your pets the loving companionship they need… So when you return home, they’ll be happy and healthy waiting to greet you.